These rides are aimed at cyclists who enjoy riding at a fairly leisurely pace averaging 11 to 13 mph but who would also like to cover some distance and explore new areas. A typical ride distance would be 45-50 miles with stops for morning coffee, lunch and maybe afternoon tea also in the warmer months with more daylight hours. These stops provide plenty of opportunity for chatting and relaxing with the other riders. Anyone who would prefer a shorter ride is welcome to join us for just part of the day. By selecting a range of different start points e.g. 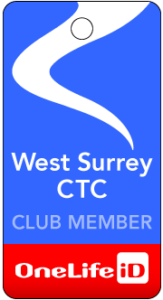 Woking, Guildford, Farnborough, the leaders can plan routes exploring the lovely countryside of both Surrey and Hampshire. Rides are predominantly on quiet country lanes. Train-assisted rides sometimes venture into new territory further afield such as the glorious Test Valley. It has also become a tradition to organise a long May Day Weekend with day rides in another part of the country. Recent destinations have been Suffolk, Dorset and the Welsh Borders. 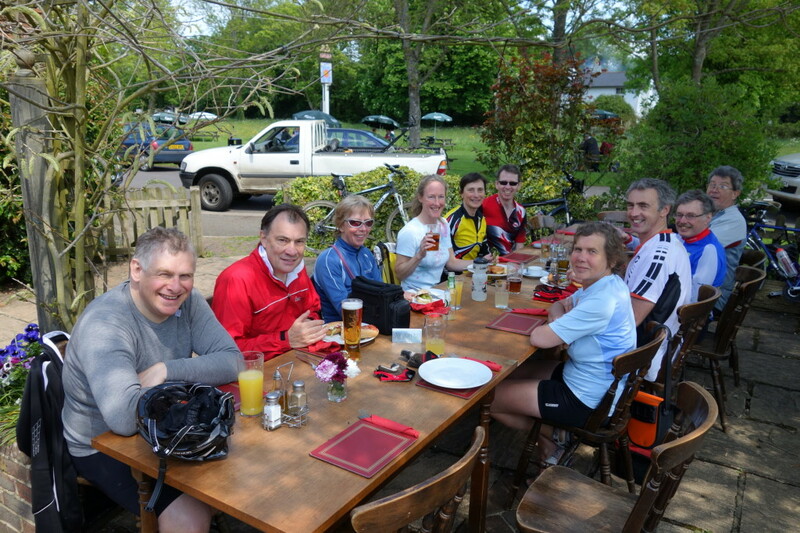 The group welcomes newcomers; all that is needed is a decent bike, sufficient stamina and a love of cycling!